What does risk-taking really look like in early childhood? Risk taking.. allowing to learn through mistakes.. grow in confidence in their own abilities.. exploring friendships and showing support to be brave..
One of the biggest hurdles to outdoor play is understanding the nature of risk-taking. We have found that the most challenging daily risk-taking children will experience in our nature immersion programs has little to do with wild nature play at all. Snakes, fire-work, water-play and tree-climbing are not as challenging for children as putting on their own clothes, trying new foods or saying farewell in the morning. In moving beyond the security of our comfort zones where everything within is known and safe, the children have learned that each person’s zone of comfort is different, and that we take a risk when we step out of it. We learn about fear … safely. And together. The Education Secretary; Damian Hinds is “Urging schools to embrace old fashioned pursuits in the great outdoors to help pupils develop ‘character and resilience’.” (Please find article below). With this continuous push to get kids away from gadgets, to learn more about themselves through adventurous activities and to develop an understanding and appreciation for nature, Take 2 Adventure have been getting involved with local schools to encourage and promote the importance of outdoor learning. If your school would like to be a part of our outdoor adventure programmes please click here to see what we can do for you. We also ran sessions for North Wheatley Beavers, Brownies and Guide Unit and attended public events with our mobile archery range. Our mobile adventure company offers bespoke outdoor learning and adventures for all. Our packages run from March to November and we offer a range of activity options to suit all budgets and time. The following options are available. For a more challenging, realistic adventure we run our Overnight Adventure Camp, which will be set up at a local campsite just outside of Retford. We provide all the tents, equipment and food, all you need to do is supply some excited children! Click here for more information. We offer our private bookings for all of the activities listed above. All you have to do is source a suitable location; village hall, large garden, sports field etc and we will come to you! Price upon enquiry. Click here for contact details. Our mobile archery and air rifle range is also a great addition to any school fair, summer fete, charity day and fundraisers. Our guided walks offer you the chance to explore and experience what our countryside has to offer; with the confidence of knowing you are in safe hands. We will show you some amazing viewpoints and help you step out of that 9-5 routine and challenge yourself to achieve more. Our walks vary in distance so there is always something to suit all abilities: These varying levels are designed to accommodate all fitness abilities and experience and we always try to end our walks with tea and cake or a pint! A circular walk starting in the local village of Whitwell, just 20 minutes from Retford. The walk will move out of the village to the open fields, (there are a significant number of styles as we leave Whitwell and these unfortunately are not dog friendly) the tracks thereafter are good and the route varied; fields (a little muddy) beautiful woodland, grounds of Welbeck estate and lunching within the historic crags of Creswell. It has been a year now since our first official Take 2 Adventure ‘Guided Walk’ and what a fab year it has been thank you to all those that have been a part of our walks come rain or shine! A very big well done to all those who braved the October walk! Hats off to you, that was the wettest walk I have done in a very long time. As I write this the sun is shining and skies are blue, so fingers crossed we can have some of this fresh crisp autumnal weather for the next guided walk on Sunday 18th November. A circular walk starting in the beautiful town of Bakewell heading over to Monsal Dale passing by villages of Over Hadden and Sheldon before returning to the start point via Magpie Mine, Monsal Head Viaduct and the River Wye. A fab walk, easy terrain and not very hilly so do not be put of by the distance as we will be on good paths and river tracks for nearly all the way. For more information or to book your place please complete the form below. We also offer private bookings for up to 6 people, these can be tailored to suit you group’s abilities, aims and goals. To book or register your interest, please fill in the contact form below with your name, number of participants, date of activity and contact phone number. You will then be emailed a payment invoice to secure your places. After a number of successful school holiday ‘Adventure Days’ we have decided to run another day this October half term holiday. We will be stepping it up with a selection of new activities to learn and develop existing ‘outdoor’ skills and most importantly have fun. Please be aware there are only 20 spaces so book early to avoid disappointment. The start of the walk will encounter woodland, which by October will be a wash with autumnal colours. The path will then venture alongside the reservoir, to an steep(ish) ascent up onto Derwent Moor. The upward hike will be honoured with (fingers crossed) views across the moorland and over to Derwent Edge, which is where the walk will start coming to it’s end, along the edge and finally down into the moorland below. 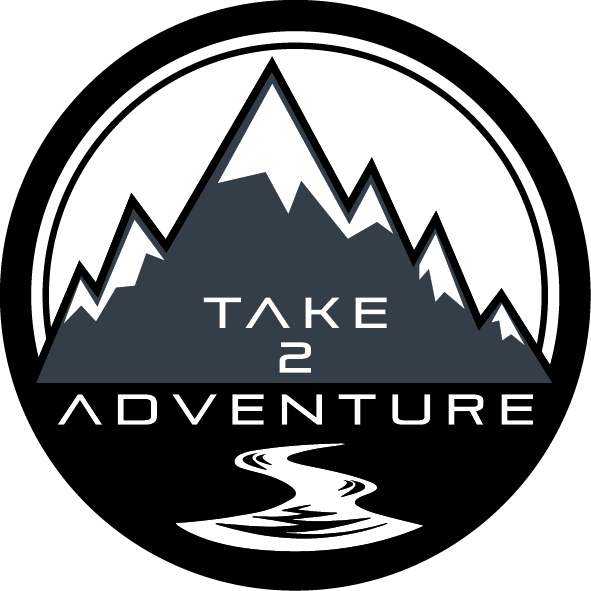 The crazy summer season is coming to an end but things don’t slow down for Take 2 Adventure. Autumn brings the return of our guided walks and we have some great walks lined up! The Peak District is one of our favourite places to explore and we look forward to sharing our findings with you. This stunning walk passes through moorland plains and passes by an impressive series of gritstone edges with views down to the River Derwent valley below and some landmark monuments to Napoleonic Battles are visited. The walk begins and ends in the village of Curbar. After the success of our previous Woodland Adventure Day we are very excited to announce we will be running another fun filled day this summer. Come and explore the woods in North Wheatley! We will be stepping it up with a selection of activities to learn new and develop existing ‘outdoor’ skills and most importantly have fun. Build a fire and cook some campfire favourites which could include damper (bread), chocolate orange cake, hot dogs or popcorn! Take part in a variety of challenges designed to test teamwork, problem solving and communication skills in the surroundings of natural woodland. Develop some cool bushcraft skills using all naturally sourced plants. Upgrade from the tarps and para cord and build a shelter using all natural materials. All activities are suitable for 6-12 year olds. Please meet at Wheatley village hall car park where children will need to be signed in by their parent or guardian by 10am. From here a short nature walk will lead to the woods. They will take part in a variety of outdoor activities throughout the day, there will be plenty of time for breaks and lunch. Pick up will be at 3pm back at the village hall where parents/guardians will need to sign their children out. To book please complete the contact form below or if you have any questions please email Take2Adventure@gmail.com.